- 8 Light Settings including Color Changing Mode! 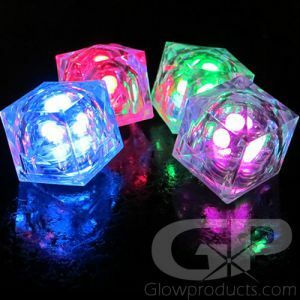 - Light Up Your Glow Party or Lighted Event! 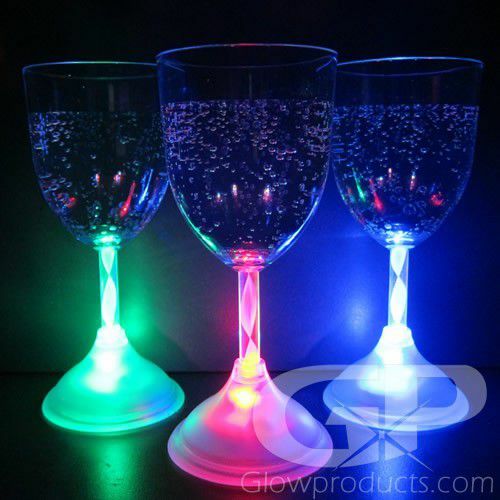 Light Up your next wine tasting with Multi-Color LED Wine Glasses! 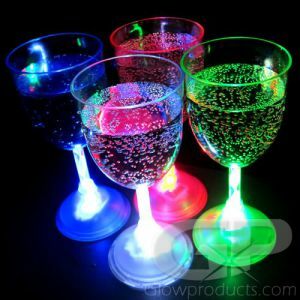 8-Mode Light Up Wine Glasses are the perfect LED wine glass for an evening gala or backyard BBQ. 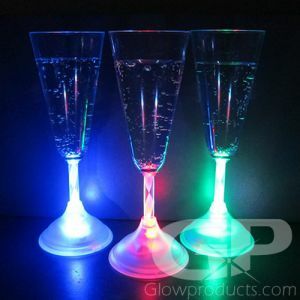 Each Multi Color Lighted Wine Glass has 8 different color and light settings including a rainbow changing multi-color mode. 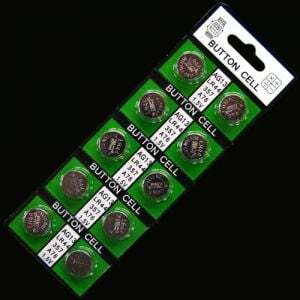 With the 8 color modes to choose from you'll always have the right color for your event! 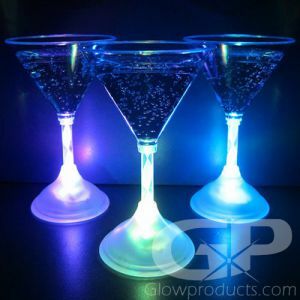 Every wine lover knows how important the glass is, and these fun glow wine glasses will make a flashy statement at any party! Instructions: Press the button at the base of the LED wine glass to turn the light up wine glass on and off and rotate through the colors. The first 7 modes are all steady solid colors. The 8th mode slowly merges through all colors. To wash, unscrew the bottom of the LED Wine Glass and wash with warm water and soap.